Three of the largest solar cell makers in Taiwan have agreed to merge themselves to form a larger entity which can reap economies of scale and survive the solar industry competition. Taiwanese cells makers such as Motech, Gintech, NSP etc. have always found themselves on a backfoot as they were mainly suppliers to large Chinese modules companies such as Trina Solar, Canadian Solar etc. In times of a slowdown, the Chinese solar companies reduce procurement form the Taiwanese companies. Also, they get frequently squeezed by the Chinese companies due to lack of a bargaining power. Always known for their technologically superior solar cell technology, the Taiwanese companies are going backward. Longi, GCL Poly, Jinko Solar, and other Chinese companies are making rapid strides in solar cell technology and could soon leave the Taiwanese companies far behind. With much larger revenues and R&D budgets, the Chinese companies are making rapid progress in new solar product forms (half cut cell modules), black silicon technology, mono – PERC etc. Now NSP, Gintech and Solartech have merged using a share swap to form United Renewable Energy (URE). This new larger company will have a large capacity and geographic footprint with factories across South East Asia and Taiwan. Taiwanese cell companies had expanded into SE Asia to escape the USA anti-dumping duties in the last few years. However, this strategy is set to go into the dustbin as the USA prepares a comprehensive import duty ban of all major exporters. 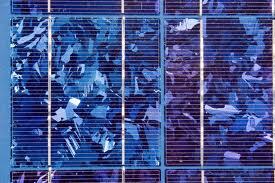 The new company is expected to be more vertically integrated with a strong play in both solar cells and modules and will also look to expand by merging more struggling Taiwanese solar cell companies. Tainergy and Motech are two other large Taiwanese cell companies that could be potential future acquisition targets given that they are also suffering from large losses due to a massive decline in prices of solar components.